Bill Ryan has clearly found his niche - and the dream band of musicians to collaborate with. 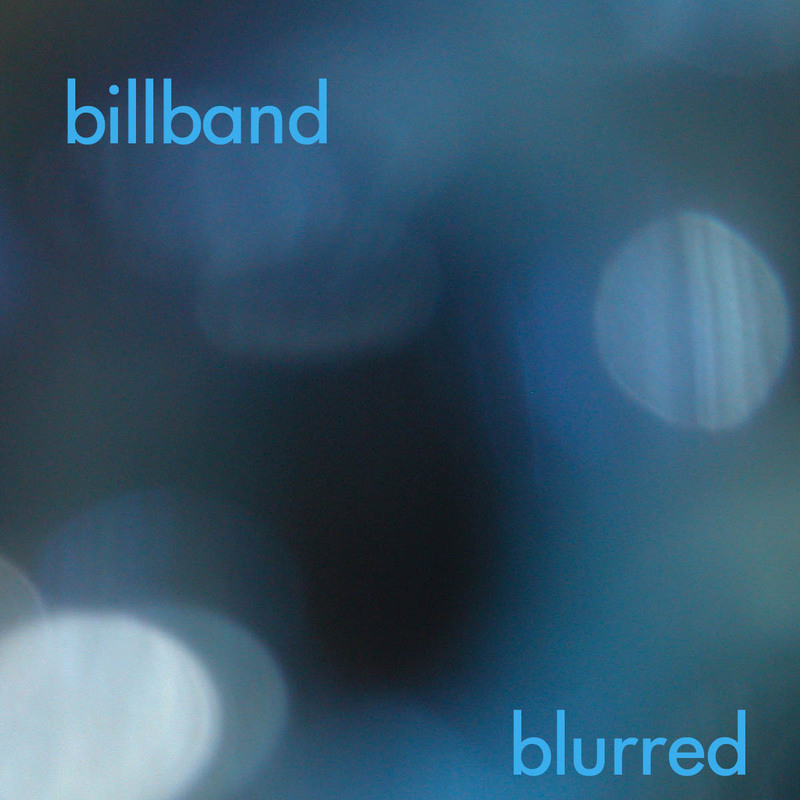 In his debut album "Blurred," his band (called "Billband," so there's no confusion) finds their groove right out of the gate, and keeps pace throughout the disc. Individually, Billband members have an astonishing list of credits, including Prince, Yo-Yo Ma, Bang on a Can All-Stars, Blue Man Group and the Steve Reich Ensemble, among others. As a collection, they take no prisoners. With a difficult-to-describe musical structure and style, Bill Ryan's tunes contain elements of familiar and attractive aural cues -- minimalistic ostinato figures, jazz, rock and, yes, even classical flavors in a tour de force that clearly projects Ryan's compositional command and artful constructions. Performed with a sense of spontaneity and high energy, Ryan's sometimes complex (but never overly so) textures project an aura of improvisation and integration, as though all of his players were just having a great time "jamming" together. Recorded with an almost "spit-noise-on-the-back-of-the-reed" visceral presence, the sureness of Ryan's vision literally jumps out of the speakers. Billband is an experience, a band, and a sound that defies characterization. And, "Blurred" is a terrific first outing for this group. One complaint your reviewer has against some Downtown music is its excruciating length. Coupled with obsessive, often undeveloped material, the result can be numbing to brain and posterior alike. Credit New York-based composer Bill Ryan with penning fare in this vein that combines polished workmanship with knowing when enough's enough. The four selections on this release, Original Blend, Capacity 49, Blurred, and Drive are scored for modified jazz combo and are built from brief gestures presented in patterns that are often subtly varied in length and phrasing. With its static repeated single-pitch platform and somewhat more process style concert music feel, Blurred recalls Terry Riley's In C and Steve Reich's 1970s oeuvre. Its sound world is fetchingly atmospheric. The other items here are more bubbly, extroverted, and jagged with extended sections of drum kit backing, all helping demonstrate a more obvious kinship to jazz; mainly because of the prominent percussion, all have an infectious toe-tapping immediacy that imparts immense surface appeal to crafty inner workings. All four tracks contain plenty of dynamic shading, strongly varied textures, and a somewhat loose yet highly convincing feel for architecture. And all have a good sense of when to stop -- Ryan never outstays his welcome. Performances are terrific. Billband , consisting of David Cossin (drums), Wayne DuMaine (trumpet), Steve Gosling (piano), Michael Lowenstern (bass clarinet), Todd Reynolds (violin), and Taimur Sullivan (saxophones) play with a bright, compelling sound and exhibit machine precision tightness. Editing is flawless and sonics are wonderfully vibrant. Some listeners may object to this CD's comparatively short duration, coming in at slightly more than half an hour -- but this critic was left happy yet hungry for more, not feeling cheated. Here is a disc that is a must for everyone, especially lovers of Downtown styles. Music as gritty and funky as Bill Ryan's seems to call for a new language to describe it; his eponymous composer-led ensemble , however, has roots traceable from the minimalist bands of Steve Reich and Philip Glass, through Duke Ellington, at least all the way back to Haydn's forces at the Esterhaza Court. In each case, the composer in question has relied heavily on musicians with similar sonorities swimming in their heads, and has often consciously written music with their specific abilities in mind. One could hardly imagine a more talented and versatile group of collaborators than Ryan's Billband, whose collective credentials in new music and jazz as well as more disposable musical genres ensures an ensemble that can turn styles on a dime. One might say that Ryan's music constantly threatens to burst at the seams, were those seams not so artfully structured. What keeps this group's debut collection constantly percolating is not merely the inspiration of the writing, but also the enthusiasm of the playing. Each track burns with all the visceral energy of a jam session, where musicians clearly feed off the energy of others and give back in hand. Rarely has music this earthy been so elegant, and not since the works of Elliott Carter (whose music Ryan's in no way resembles) has a composer fashioned so many facets of his own personality into what is obviously a conversation between musical characters. May Billband continue for many years to come. Bill Ryan's idea is rather simple: to write pieces using a single motif that will slowly evolve as it is being repeated over and over. Of course, it is one of the concepts at the heart of American minimalism (Philip Glass, Steve Reich, and Terry Riley's music, to mention but three). But Billband spins the idea on its head, giving it a funky, down-to-earth feel and, in the process, revamping it the same way L'Infonie had reinvented Riley's "In C" in the early '70s by adding a rock rhythm section to it. This kind of music relies on two basic principles in order to be successful: the listener must have the impression that the piece ends the way it started, even though it does not (the motif has gone through a number of subtle transformations that have pushed it some distance from its starting point); and the piece must not become tiresome or boring because of the process involved. Blurred succeeds on both counts. Violin (Todd Reynolds), trumpet (Wayne DuMaine), saxophone (Taimur Sullivan), bass clarinet (Michael Lowenstern), piano (Steve Gosling), and drums (David Cosslin) brush a wide sound palette with ties to contemporary chamber music and funk-rock. "Original Blend" and "Capacity 49" follow the procedure described above: repeated motifs gradually modified and developed, with arrangements being elegantly bounced around the instrumentation. The use of a bridge section adds some spice to the proceedings. "Blurred" ditches the drums to focus on more aerial patterns, reminiscent of the composers revolving around the West Coast-based Cold Blue label (Jim Fox, Steve Peters, Michael Jon Fink, etc. ), while the closer, "Drive," uses a longer, more complex motif (with verse/chorus structure) and comes back to a hard-thumping track, even adding a disco touch. The music grooves on easily, hiding well its academic concepts under its beats. The recording may be a little thin for a rock album (although that may have to do with the bass clarinet being the only low-register instrument in the mix) and ends too soon (after 32 minutes), but it offers an entertaining listen and manages to make its crossover proposal convincing.